Student Reema Eid practices her pitch for the upcoming Business Design Showcase. Naeem Zafar, a serial entrepreneur, author and faculty member at the Center of Entrepreneurship and Technology at UC Berkeley, is the keynote speaker. UC Santa Cruz entrepreneurial students were fine-tuning their business pitches this week in preparation for the university's popular Business Design Showcase, a competition to be held Tuesday, April 12 in Silicon Valley. About 16 teams are expected to participate in the annual event that draws together some of Silicon Valley's most prominent entrepreneurs. Each team will have up to six minutes to pitch a business idea to a panel of seven judges, each seasoned businessmen and women. From there, they will proceed to woo a larger crowd of invited industry guests and members of the public for a coveted People's Choice Award. "We have everything from underarm deodorant to virtual reality workspaces and GoPro camera stabilizers," said Sue Carter, executive director of the UC Santa Cruz Center for Innovation and Entrepreneurial Development. CIED plays an active role in developing student entrepreneurship through events, mentorship, community and industry partnerships and teaching innovation and entrepreneurship. It is the fourth showcase organized by CIED and, due to its growing popularity, the first to limit contestants to teams that have either won previous competitions, such as the open UCSC Pitch Slam! in December or the Hack UCSC 2016 in January, or been referred by instructors of entrepreneurship or a CIED staff member. "It's just a really great mix of low tech and high tech companies developed by grad students and undergrads," said Sonya Newlyn, special program assistant at CIED. "It's going to be really hard to choose winners. I would hate to be a judge." Code Naturally, a student company that is developing educational software to help teach young students to code, is one success story from last year's showcase. "It could have totally been just an idea, but thanks to the framework and all that CIED provides, we have these resources and it's developing into a full company," said senior Sukh Singh, who is now CEO of the company he cofounded with students Asher Gardner and Justin Blair. In the last year, Singh and a growing team have continued to take advantage of support from CIED, including several critical introductions into the community that have included free tickets to the monthly Santa Cruz New Tech MeetUp where they picked up a board advisor and an introduction to mentor Jim Brisimitzis, general manager for the Microsoft Start-up program. Brisimitzis has provided the startup with ongoing support and orchestrated the free use of Surface tablets to beta test the software in a local school. Code Naturally, which is based in the backyard Santa Cruz patio of its cofounders, is now raising its second round of seed funding. "CIED has showed me it's possible to do these kinds of things," Singh said. "Having that support from them helped us push on through those moments of doubt." This Silicon Valley venue reflects UCSC's strong ties with the entrepreneurship community. The list of judges and guests includes venture capitalists, entrepreneurs, CEOs, patent attorneys and UCSC faculty entrepreneurs, as well as other VIPs in the startup community. A full list of the judges, competing businesses and event sponsors can be found at the CIED site. 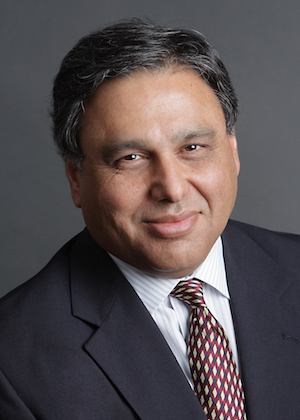 Naeem Zafar, a serial entrepreneur, author and faculty member at the Center of Entrepreneurship and Technology at UC Berkeley, is the keynote speaker. He is CEO and co-founder of TeleSense, an Internet-based environmental monitoring tech startup. Previously he founded Bitzer Mobile, an enterprise security and mobility company that was acquired by Oracle in 2013. "We're really excited to have someone with such a strong reputation for teaching student innovators and who is also a successful entrepreneur and VC," Carter said. UC Santa Cruz Chancellor George Blumenthal will also speak at the event. The first place prize earns $4,000, second place, $3,000, and third place, $2,000. About 70 guests will then have an opportunity to visit with the student teams during the showcase portion of the event, enjoying refreshments while casting their allotted Slug Bucks in a vote for the coveted People's Choice Award and $1,000. The showcase is just one in a series of CIED-sponsored opportunities aimed at student entrepreneurs, each meant to push students to develop their ideas and partnerships, secure funding and incorporate. Other upcoming events include the University of California Carbon Slam and the 10-week summer Entrepreneurship Academy. "CIED is working really hard for our undergraduate and graduate students to be innovators," Carter said. Co-sponsors of the event include UCSC Foundation Trustee and venture capitalist Kamil H. Hasan and his wife, Talat Hasan; TiE SV, a non-profit organization dedicated to fostering entrepreneurship in Sunnyvale; and Business With Pleasure, a graphic design, print and shipping company in Scotts Valley. From the campus, UCSC division sponsors include: Division of Graduate of Studies, Baskin School of Engineering, Office of Research and University Relations. People interested in attending the Showcase may register at the CIED website. It is a free event.